We're big fans of Chicago (and no it isn't just because of the deep dish). The entrepreneurial spirit is alive and thriving in the Windy City, especially with so many female-led businesses on top. We're always finding an exciting perspective and inspiring idea from these women, so we thought we'd share some of the top female entrepreneurs to look out for. Check out their work below. If you’ve ever borrowed a friend’s dress for a wedding (or loaned them out yourself), DesignerShare co-founder Sarah Perkins can relate. Not wanting to let go of statement pieces in her closet, Sarah realized that she could take that model online and start DesignerShare. Now with 660 users in Chicago and over 600 items, Sarah has create an unlimited wardrobe for women in the city, and she already has an eye on national expansion. The rough winters in Chicago inspired mom and founder Monica Royer of Monica + Andy. Unable to find quality organic baby and children’s clothes (with amazing customer service), Monica researched and launched her ideal version online in 2014 with Cuddleboxes. They sold out immediately. Since then, M+A has grown with two physical stores in Chicago, one on the way in New York, and product in Nordstrom. Maria Christopoulos Katris had 15+ years of marketing experience and strategy consultation, along with founding her own company (a Chicago-based nannying agency which she was able to sell within two years) before joining Built In, the online hub for local tech communities that connects talent to startups and provides digital content for local startups. With her at the healm, she lead Built In to it’s new chapter, branching its success into other cities from Colorado to Los Angeles. What’s Hearken? Well, it’s actually really cool— unlike the traditional model for creating content, Hearken helps newsrooms flip the script and looks for stories that are publicly powered (with high public investment and interest). The company’s co-founder and CEO Jennifer Brandel certainly knows the traditional model, having started started out as a journalist, reporting for outlets like The New York Times and Vice. She later on went to start an audience-first series in Chicago called Curious City— which inspired a lot of Hearken’s mission to harness that universal and public curiosity for newsrooms. This early stage investment firm partners with and invests in female entrepreneurs— and definitely needed to be added to our list. 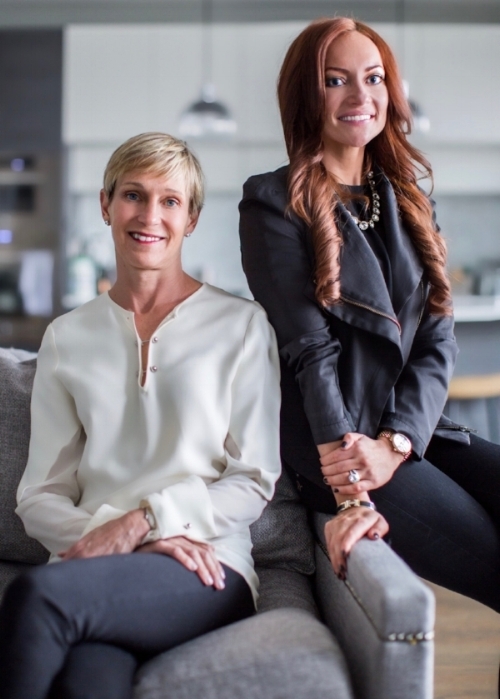 Gerri Kahnweiler and Cayla Weinberg are strong leaders in the Chicago start-up scene. Gerri’s background as a public figure in the city and Cayla’s experience working for one of Fortune’s “100 Fastest-Growing Companies” as an assistant director have lead them to InvestHer. They keep a pulse on Chicago’s up and coming businesses and see the need for female leadership in the city as well as the start-up industry. Jessica Zweig loves big brands, travel, and (more importantly) living authentically— and if you shied away from that last word, she’s the marketer who can show you how a brand can own it. She’s a big fan of helping entrepreneurs with their personal brands and has worked with some Fortune 500 companies from Skinnygirl, Nike, and Smartwater. Plus, she’s been voted INC.'s Top Digital Marketer to Watch, so keep your eyes peeled.